This is a very lovely digital white dove download I created from a pretty Victorian paper scrap. 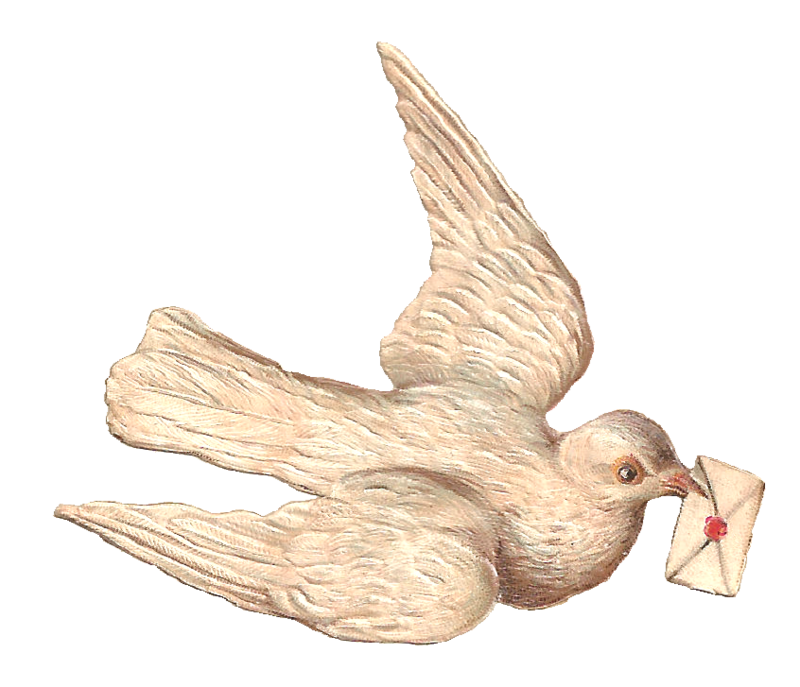 This digital dove image is unique in that the dove is delivering a letter, which makes it wonderful for romantic projects or handmade greetings. 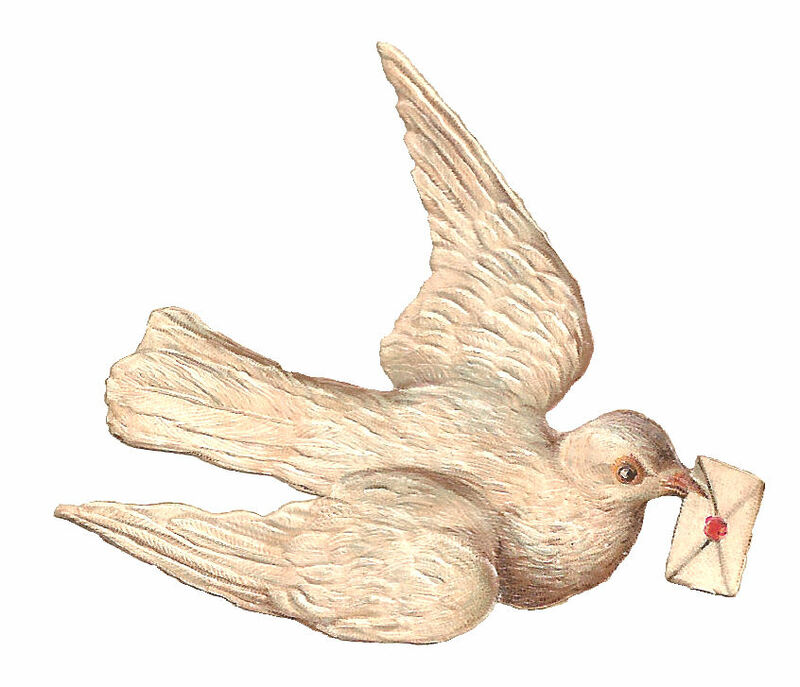 I can imagine this dove image on a handmade greeting card that's wishing someone well or letting someone know that you're thinking of her. The dove is a symbol of peace, so this digital bird download is perfect for religious projects as well. I hope you enjoy this beautiful dove clip art in any of your projects! Lovely image, thank you for sharing it.